Our team of web design experts have created a range of packages suited to every budget, all neatly bundled in a super-simple to understand way – even for those with the most basic technical abilities! Our streamlined design process allows us to minimise costs and development time and ensures that the daunting task of developing your website is a remarkably EASY & HASSLE-FREE experience for you. We guarantee to have your website ready to launch in only 14 working days after receiving your information! Our clients tell us that they feel we listen very closely to them and their specific requirements. This allows us to deliver highly customised website solutions focused solely on what you actually need. We ditch the extras and never try to push additional functions or features you don’t require – and we’ll never bamboozle you with nerdy jargon! All our packages come with beautiful, clean, custom design that both you and your customers will love! Your website will be mobile-friendly, rendering elegantly on any device, including Smart Phones, Tablets and Desktop computers alike. This allows you to reap maximum rewards from the current mobile revolution. Every website we build is backed up by in-person training and ongoing support, with fast responses to all your queries. BENEFITS - Why Choose Us? Only invest in what you actually require. We will never inflate costs by selling you functions you don’t want! We can custom tailor a convenient payment schedule to match your cashflow and budget! 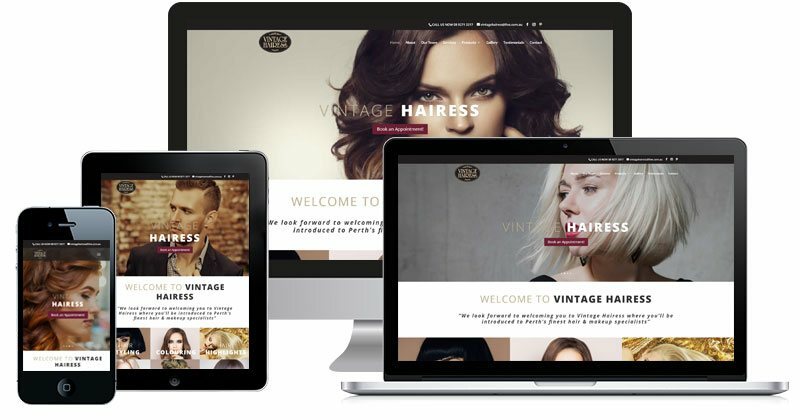 All sites comes with mobile friendly ‘responsive’ design – 1 single website that adapts intelligently to Desktop, Laptop, Tablet or Smart Phone screens. No need to build & manage a separate mobile optimised version. All sites comes with the hugely popular, industry leading WordPress Content Management System… Really easy to use, powerful, versatile, secure, stable, scaleable, low cost and open source!